Rinse the duck thoroughly, then pat dry with paper towels. Trim the excess skin and fat from each end. 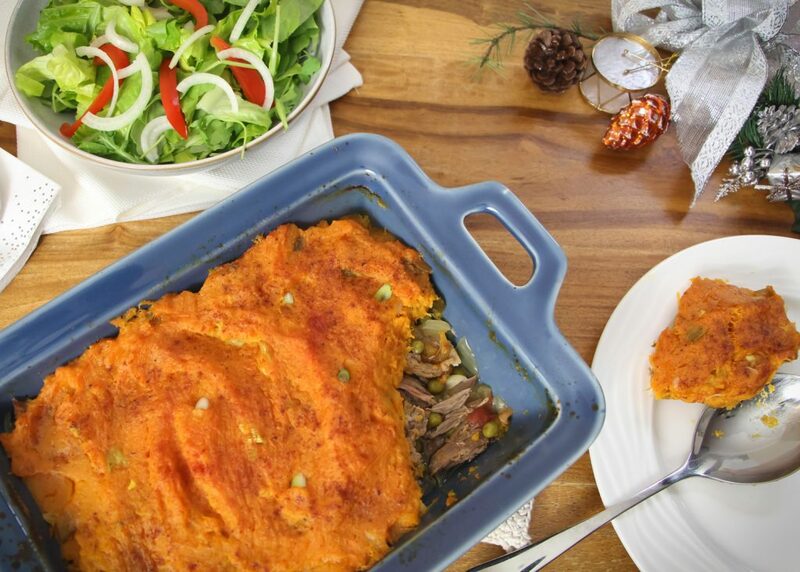 Place the duck in a large, deep baking dish and season generously with salt and pepper. Put the duck in the oven and bake for 2.5 hours, covered loosely with a sheet of aluminum foil. Meanwhile, boil the sweet potato cubes in salted water until tender; about 20 minutes. Drain them in the pot, leaving a little water in the bottom. Add a little butter, salt and pepper to taste. Mash well. 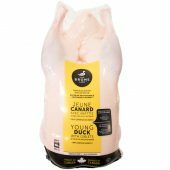 Add a bit of the duck or poultry stock until a smooth but relatively firm texture is obtained. The mash should not be too liquidy. Add the green onions and set aside. Take the duck out of the oven and let it cool before removing the meat from the bone and chopping coarsely. Place the meat in a large baking dish and add the homemade ketchup, onion and drained peas. Mix, then cover with the mashed sweet potatoes. Sprinkle with paprika. Put the dish in the oven and cook the pie for 45 minutes at 180 °C (350 °F). Remove from the oven and serve immediately with a greens and red pepper salad.